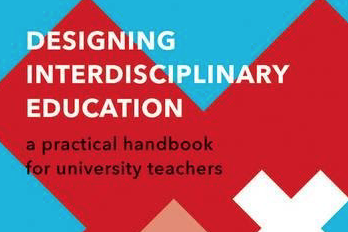 I contributed a case study to ‘Designing Interdisciplinary Education: A Practical Handbook for University Teachers (Perspectives on Interdisciplinarity)’ titled ‘The Teacher as Co-Learner’. This gives practical examples of curriculum design where the lecturer does not occupy the position of subject expert, but instead facilitates independent learning and research by co-learning with the students. de Greef, L., Post, G., Link, C. and Wenting, L. (2017) Designing Interdisciplinary Education: A Practical Handbook for University Teachers (Perspectives on Interdisciplinarity). Amsterdam, Amsterdam University Press.